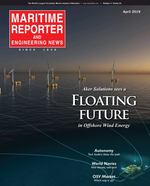 Monthly publication serving the global marine market. Heavy Steel Fabrication and Machining with deep water access and capacity to convey large assemblies by coastal and ocean carrier. Strongwell is the world`s leading pultruder of fiber reinforced structural components.